Do you have a strong signal WiFi in your area and you have tried all your best to get the password but all could not avail. Today, am gonna be showing us three best official WiFi Android apps presently in Google Play Store that can be used to hack WiFi password for free. For you to use these apps, your android device need no root access, so if your phone is not rooted, you have nothing to worry about. But if your phone is rooted, you also have no problem since the Wifi apps works on both rooted and unrooted phones. There are many android WiFi apps in Google play store, and most of them are just there to answer WiFi hack without being active to what they are called, that is not being able to hack as the name implies. So due to such, I made a research concerning the best WiFi hack passwords, do you know what? After the whole research made, I only came up with three among all the hacking applications in Google Play store. They are below with the links to download them for free. So get your Android device ready for hacking of WiFi passwords. √ Get it Done With Latest WIFI Web Login v12.1 Cracked. √ How To Transfer Files Wirelessly Using Xender from PC To Your Mobile Phone Or From Phone To PC. √ Very Hot!!! See How To Turn Any LAPTOP Into Hotspot Machine [Share Your PC connection with any Mobile/Laptop Device]. √ How To Enjoy Free Wi-Fi Browsing In LUTH And Other Zenith Bank Branches As A Customer. 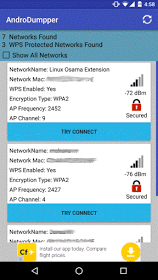 Note that with these apps, you can only hack WiFi with WPS Protocol enabled. That is, Router must be WPS enabled and as well Vulnerable before one can be able to hack through that WiFi. So once any of this is not enabled in the security lock of such WiFi, then any of the app can't get such WiFi hacked. In essence there are specific WiFi it can get through and not all kind of locked WiFi that these apps can hack. ==>>Download the app by clicking here. 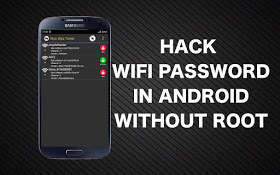 This is the one of the best App for hacking Wifi Passwords in Android. This app can work in both rooted & non rooted android devices, but if your device is rooted then chances of Hacking WiFi password is bit high. If Wireless Router is highly secured, then this app will not work. you have to keep trying this app on different Wifi Routers and try your luck if this app hack WiFi near your home :p . This app use algorithm of Zhao, vodafone arcadyan, Dlink, TrendNet and also they have added default Router pins for made this app work properly. So Simply Download this app now from the below link, and install on your Android Phone right now to enjoy it. ===>>Click here to Download app. 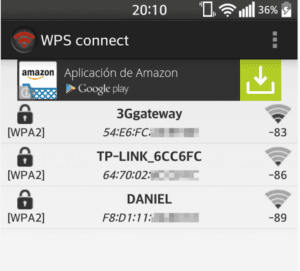 Last but not the least, WPS Connect is on Number 3 for hacking WiFi Password with Android. in other to Use this app, your Android Device Must be rooted, Without Root This app won't work on Android Devices. This app can be used in many android devices which have root permissions, can connect to WPS Enabled WiFi if it’s vulnerable. 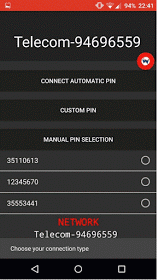 Download and Install This simple app on your android device now from the below link, to Hack WiFi Password on your android device right now. Share to friends on Facebook and Twitter.